BBA News S6 E3 is LIVE! Since its founding in 1829, Burr and Burton has been an independent Vermont high school with a public mission. It serves as the local high school for area students, while also attracting students from overseas. Situated at the foot of Mt. Equinox and overlooking picturesque Manchester Village, Burr and Burton is a school with a proud tradition of educating students of diverse backgrounds and talents in a supportive and caring environment. See a video about the school HERE. Burr and Burton is an independent high school with a public mission and a global reach. 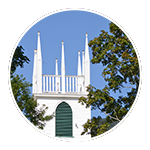 Through a unique system, which has been in place for over a hundred years, a Burr and Burton education is available free of charge to high-school students who reside in the following sending towns: Manchester, Dorset, Danby, Dover, Londonderry, Landgrove, Mt. Tabor, Peru, Stratton, Sunderland, Wardsboro, Weston and Winhall. Admission is also open on an annual basis to interested students from other towns. Burr and Burton seeks international students who are highly motivated to live and learn in the United States. The international program is intentionally small, so admission to the program is very competitive. The small size of Burr and Burton's international program, about 70 students annually, allows teachers and staff to give a great deal of personal attention to international students, and allows international students ample opportunity to improve their English and integrate into the school and community culture. Countries represented by international students at Burr and Burton typically include China, Taiwan, South Korea, Japan, Thailand, Switzerland, Spain, Vietnam, Germany, Austria, Bolivia, Brazil, and Mexico. Students at Burr and Burton have a great deal of freedom and choice in their education. With over 170 courses to choose from, the academic program provides students with a wide range of vigorous educational experiences in academics, athletics, and the arts. Burr and Burton ultimately equips students with the skills and understanding necessary for engaged citizenship and lifelong learning. One of the hallmarks of Burr and Burton Academy is its supportive, caring community. Combined with a robust course of study and extracurricular opportunities on a beautiful campus, Burr and Burton delivers a program of engaging, vigorous educational experiences in academics, athletics, and the arts. Donors play a very important role in helping Burr and Burton to make that happen. Director of the Target Program Kathi Bierwirth and Library Media Specialist Margi Putney were named the Rowland Chair recipients for 2019. Honorees receive “The Rowland Chair” to hold in their classroom or office for the year and receive a $7,000 stipend to be used for the collective benefit of their department or for professional development with the intent of improving the process and product. The Rowland Fund first and foremost, supports the academics of the school and supports initiatives that make Burr and Burton Academy a superlative place for faculty and students to work, learn and achieve. More than any other factor, BBA's faculty influences the quality of education at Burr and Burton. Two faculty chairs are awarded on an annual basis to acknowledge and honor teachers who are innovative, inspire and lead students and their peers, and who clearly have committed their hearts and souls to meeting the mission and vision of our school. Pictured are Kathi Bierwirth on the left, Margi Putney on the right and long time BBA benifactor Wendy Rowland in the middle. BBA's Model UN Team was named to the top 25 in the nation for 2018. The team is led by teachers Kendra LaRoche and Tom Von Allmen. An estimated 250,000+ students in every state take part in some sort of MUN simulation throughout the academic year, with over 250 conferences working to provide unique and insightful experiences. Model United Nations (MUN) is a student simulation of the proceedings of the United Nations. Students, referred to as Delegates, are assigned a country to represent in one of the UN’s numerous committees with pre-set topics to debate. They research the background of their country, their country's position on the topics at hand, and prepare notes on possible solutions to the problems faced. Students then convene at Model UN conferences, to debate their assigned topics with students representing the other UN member states. Much like the real UN, the goal is to identify solutions, by negotiation and consensus, on which many countries can agree. An Interview With Kendra LaRoche, MUN Coach at Burr and Burton Academy HERE. Magic Mountain, Vermont - March 1: On Friday, Magic Mountain welcomed Burr and Burton teachers for an afternoon of skiing. The event was a part of a new teacher-led initiative at Burr and Burton called the Collision Committee where teachers design fun ways to connect with each other off campus. Magic Mountain President Geoff Hatheway provided complimentary lift tickets so BBA teachers could have this joyful shared experience. 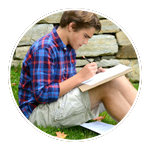 Every year, the National Merit Scholarship Corporation recognizes students who excel on the PSATs. Approximately 1.6 million students take the PSATs; the top 50,000 scorers qualify for recognition in the National Merit Scholarship program. About 16,000 students, or 1/3 of those qualifying students, are selected as semifinalists, based on having the highest test scores in their state. If those semifinalists continue to attain top grades in high school and excel on the SATs, they then move on to the finals. Moving on to the finals and in the running for a National Merit Scholarship is BBA senior Henry Ahlfeld. In February, the BBA English department hosted its annual Poetry Out Loud competition, in which students recite a poem from memory. They are judged based on the national Poetry Out Loud standards, including accuracy and delivery, by a panel of faculty. In February, the BBA English department hosted its annual Poetry Out Loud competition, in which students recite a poem from memory. They are judged based on the national Poetry Out Loud standards, including accuracy and delivery, by a panel of faculty. Senior Lauren French placed second, and the first place prize was awarded to freshman Iren Hangen-Vasquez, who is moving on to compete at the state level in Barre on March 7th. If Iren places in Barre, she will move on to the final state competition on March 18th and have a shot at advancing to the national competition in Washington DC. who is moving on to compete at the state level in Barre on March 7th. If Iren places in Barre, she will move on to the final state competition on March 18th and have a shot at advancing to the national competition in Washington DC. We are very excited to announce the inaugural season of Unified Basketball at Burr and Burton. The purpose of Unified Sports is to create unique teammate bonds through authentic competitive experiences tailored to the appropriate skill development and ability level of participants. In Unified Sports, individuals with intellectual disabilities (athletes) are paired with individuals without intellectual disabilities (partners) to promote growth in sport-specific skills (shooting, passing, dribbling, rebounding, etc.). Additionally, Unified Sports experiences create a culture of inclusion and foster understanding in schools and communities. Participation in Unified Sports leads to new friendships, improved self-esteem and positive changes in attitude and behavior. Burr and Burton Academy will become the first Steinway Select School in Vermont thanks to the purchase of a combination of uprights, baby grand and concert grand pianos. Steinway & Sons is the preeminent piano maker in the world, and this initiative makes world class instruments available to BBA students. Gary Girouard from Steinway & Sons will attend the upcoming Steinway Calliope Recital on February 12. He will present a plaque and a $5,000.00 scholarship check heralding Burr and Burton Academy's designation as a Steinway Select School. 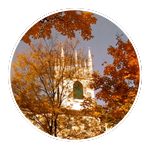 Burr and Burton Academy is the first school in Vermont to achieve this recognition, and joins only two other New England schools, Gould Academy and Cushing Academy, in achieving this coveted status. These fine instruments enable students and faculty members to practice, perform, compose and record using these top quality pianos. Members of the greater Manchester community as well as as participants in the Manchester Music Festival and Taconic Music will also have access to these wonderful instruments. Fifty-nine Burr and Burton Academy students were inducted into the BBA Chapter of the National Honor Society in a ceremony held November 13 in the school's Riley Center for the Arts. The National Honor Society honors students who have demonstrated excellence in the areas of Scholarship, Leadership, Service, and Character. The hour-long program, created and led by current NHS members, was a chance for the BBA students, staff, administration and guests to celebrate the hard work and dedication of the 59 students inducted into the society. National Honor Society members Alexia Smith, Jasmine Rachele, Jessica Grabher and Olivia Watanabe spoke on Scholarship, Service, Leadership and Character. After receiving their NHS pins and certificates a short reception followed and gave everyone an opportunity to offer congratulations to the newest members: Leah Allen, Philip Allen, Ian Anglum, Elizabeth Bardin, Osha Bensen Langstaff-French, Lauren Carter, Jasmine Chartier, Madison Chase, Katherine Christy, Charles Citron, Lily Craig, Carina Crane, Meghan Curran, Giana Delossantos, Abigail Dryden, Jordan Eisenman, Yu Fang, Vivian Finck, William Fox, Aiden Francomb, Olivia Garvin, Xiaofan Ge, Jacob Giering, Avery Gilgallon, Rachel Hale, Brennan Harris, Ashley Heaton, Ariah Holliman, Parker Kulis, Ethan Lareau, Alexandra LeGrys, Sarina LoPresti, Danielle MacKenzie, Casey Mara, Stephen Mathyas, Itembe Matiku, Brianna Mayne, Joseph McCoy, John Miceli, Eva Morrow, Leah Mowry, Annmarie Mulkey, Jiayi Ren, Evelyn Seidner, Grace Sherwood, Shepard Siegel, Jordan Smith, Shaye Squillante, Adam Sribney, Justin Sweeney, Wenru Tang, Emma Tobin, Isabel Townsend, Aedan Walsh, Xiyuan Wang, Caleb Weinstein, Heming Xi, Sean Young and Zane Zupan. RUTLAND — After two seasons of disappointing endings, Burr and Burton football finally got its storybook finish. Behind a potent offensive attack and locked in defensive effort, BBA cruised to a 63-14 win against Fair Haven in the Division II state championship game Saturday. The title is the Bulldogs' second in the last four seasons, as BBA set a Vermont state record with its point output, breaking U-32's mark of 62 in a D-IV title game in 2006. BBA was determined to finish this season on its own terms and write the ending they missed out on in the last two years. "I told the guys that if we are able to finish the way we are capable of it's going to be the best feeling they'll ever have," said Bulldogs coach Jason Thomas. "This one feels really good. Fair Haven has always been a huge milestone for us. We came here to play. There's no let up. The kids didn't come in here over-confident and just went to work." Joey McCoy was the star on the offensive side for the Bulldogs combining for seven touchdowns through the air and on the ground. McCoy, a dual-threat signal caller, threw four touchdown passes and for 289 yards, while picking up three scores and 123 yards in the rushing game. "It feels amazing. I know the last couple of years have been disappointments," McCoy said. "To come out and win it for our fans and the players, it means the world." BBA wasted little time taking control of Saturday's final. After a three-and-out on the Slaters' first drive. BBA marched down the field 75 yards on seven plays. Jake Baker finished off the drive with a two-yard touchdown run. Following a Fair Haven fumble that was recovered by BBA, the Bulldogs proceeded to do the same exact thing and Baker ran in another from two yards. The senior back went on to rack up three touchdowns on the day, with the final one coming on a McCoy touchdown pass. BBA's next three scores came on McCoy touchdown runs of 23, 23 and one yard respectively. A touchdown pass from McCoy to John Morgantini put the bow on a 43-0 lead that BBA took into the half. Morgantini caught two more touchdowns in the second half. His longest grab of the day came in the third quarter when McCoy threw a beautiful floating pass that landed perfectly in Morgantini's arms and went for a score. While the BBA offense produced time after time, the Bulldogs' defense went to work keeping the potent Slaters offense in check. An obvious goal for BBA heading into the title game Saturday was slowing down Fair Haven quarterback Cam Coloutti, who has been shredding defenses all season long. While Coloutti did throw for 243 yards and a pair of touchdowns late, the Bulldogs pressured him all game long and forced him into mistakes, especially in the first half. The pressure from the BBA defense caused him to make some tough throws and the Bulldogs secondary took advantage, picking off a pair of his passes. Patrick Forstmann intercepted a pass on the Slaters' first drive of the second half and Morgantini picked off Coloutti on the second drive. "We knew what we had to do and stop Coloutti and his pass game," McCoy said. "That was our key to success to win this game." The Bulldogs were locked in on all three phases - offense, defense and special teams - and it showed in a big way. "Defense, offense and special teams, we knew how important it was to worry about ourselves and not them," Baker said. "We came out flying around. Everybody was around the ball all the time and it was awesome." The stands were filled all game long with Bulldog pride. As their team dominated on the field, it seemed like the whole town of Manchester could be heard at Rutland High School Saturday. Thomas saw where this program was when he took over in 2008 and to see where it is now, he could not be more proud of his team and their town. "When I first got to BBA, nobody knew anything about football. They had nine consecutive losing seasons after starting the program in 1999," Thomas said. "[Manchester] has embraced our program and embraced our kids. I would like to think that we're kind of turning a corner and getting a lot more people's support in what we're doing and I really appreciate that." Adam Aucoin can be reached at aaucoin@benningtonbanner.com and followed at @AAucoin_Banner on Twitter. A show of digital photographs made by students at Burr and Burton Academy was on exhibit at stART Space Gallery in Manchester. See the GNAT video of the show: https://www.youtube.com/watch?time_continue=162&v=0kxTbdLMJtE. BURLINGTON, Vt., Feb. 4 – U.S. Sen. Bernie Sanders (I-Vt.) on Monday announced the winners of his ninth annual State of the Union essay contest, which gives Vermont high school students an opportunity to describe which issues they would prioritize if they were president. 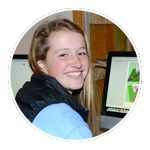 This year, 590 students from 50 Vermont high schools submitted 250-500 word essays on issues that included climate change, gun safety, substance use, immigration, political polarization, higher education and more. A panel of six Vermont teachers served as volunteer judges, scoring the essays and choosing the 20 finalists and three winners. Firdaus Muhammad, a freshman at Essex High School, won this year’s contest with an essay about Islamophobia. Muhammad is the first freshman ever to win the essay contest. “The United States is a country of diversity, a country built by immigrants. Any person who comes from any religion, deserves to feel respected and welcomed in this country,” Muhammad concluded. Joseph Brody, a senior at St. Johnsbury Academy, was the third place winner with an essay on voter suppression. “Ultimately, eliminating Voter ID laws and reforming Election Day will make voting accessible to all Americans. Voting is at the heart of democracy, and once this is realized, the quality of life for all Americans will be heightened,” Brody wrote. Sanders has invited the 20 finalists and their families to join him for a roundtable discussion at the Statehouse in Montpelier on Saturday, February 16. Sanders will also enter the essays of the finalists into the Congressional Record -- the official archive of the U.S. Senate and House of Representatives. Since Sanders began the State of the Union essay contest, thousands of students from schools throughout Vermont have written essays on a wide range of important issues. The contest is timed to coincide with the president’s State of the Union address, which will take place on Tuesday. See a video about Burr and Burton Academy HERE. Organized by the BBA Environmental Club, this will be a celebration of everything we’ve accomplished as a group this year as well as a fundraiser for several nonprofits fighting for climate action. All are welcome! The BBA Parent Association presents this film in recognition of Earth Week. Open to the public. Tickets are available for purchase at bbatickets.com for $10 or $12 at the door. Offering every student a world of opportunities.